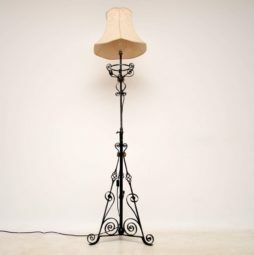 Antique Lighting | Interior Boutiques – Antiques for sale and mid century modern furniture, french furniture, antique lighting, retro furniture and danish furniture. 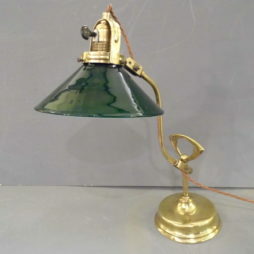 A fine quality early C20th Brass and Glass desk lamp probably Austrian circa 1900 rewired otherwise in good original condition. 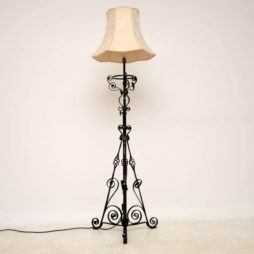 Very decorative antique wrought iron rise & fall standard lamp dating from around the 1910-20’s period. 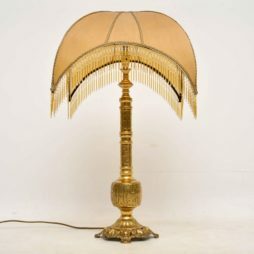 This lamp has been rewired & we have included the shade with it. The iron is finished with old black paintwork & some gold paint decoration. There is some old wear here & there. Please enlarge all the images to appreciate all the decoration. 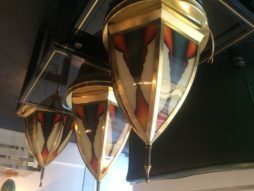 Set of 3 Art Deco lantern shaped ceiling lights. The brass base and segmented frames holding 6 strikingly colourful glass panels and ending with brass finials. 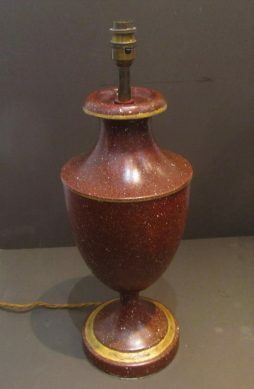 Large antique brass table lamp with beautiful engraving all over, with a very interesting shade which I believe is parchment. 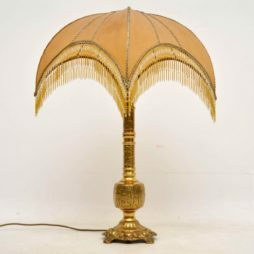 The parchment shade is very stylish & has hanging beads on the edges, one of which is missing. 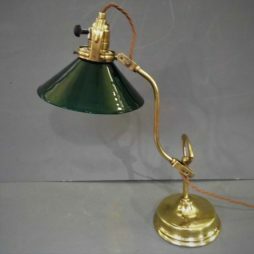 A stunning Bankers Lamp by Niam circa 1920 with adjustable green enamel shade and polished steel scrolling base. 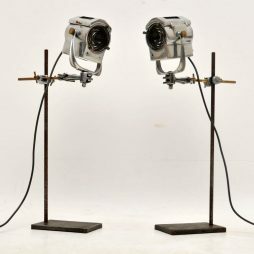 An amazing pair of vintage table lamps / spotlights, these date from around the 1950-60’s. 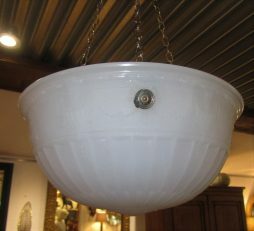 They were made by Century Lighting Inc in New York, they have been re-wired and are in good working order. 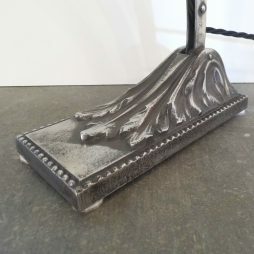 The stands were probably added later but they are also pretty old, with various signs of superficial wear, which just adds to the charm. The height is adjustable, these can also be rotated and tilted to various angles. 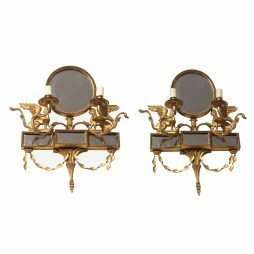 A beautiful pair of English neoclassical gilt wood wall sconces with two arms, delicate foliage, mirrors and griffins. 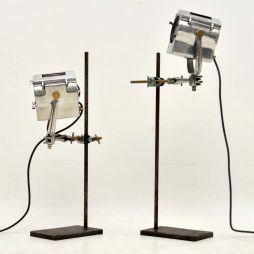 The sconces have been discretely wired and can be used as wall lights. 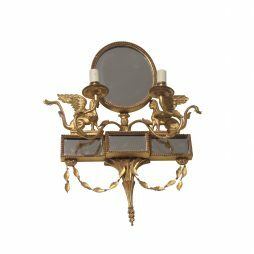 The sconces can easily be stripped of their wiring and returned to their original function as candle holders. 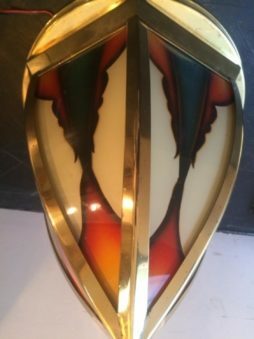 There are 2 pairs of wall sconces available and the price indicated is per pair of sconces. 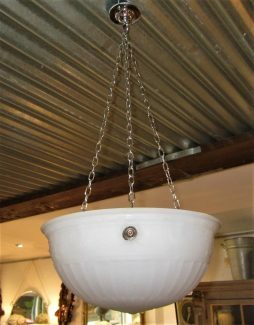 A circa 1900 American milk glass plaffonier light the moulded glass dish with a frieze decorated in high relief with swags bows and urns in the adams style and the lobed sides graduating down to a central boss the dish measures 31 cm diameter x 15 cm depth with the chains and rose giving a drop of 64 cm in very good condition. 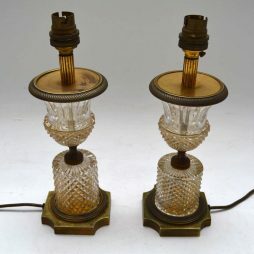 Pair of antique crystal cut glass table lamps in good original condition. They sit on gilt bronze bases & have other gilt bronze features. The original gilt has basically all been lost over the years. They could be re-gilded, but I kind of like them as they are. 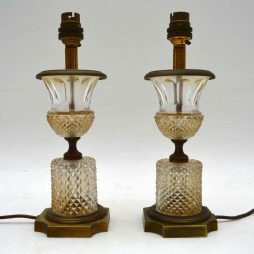 I would date these lamps to around the 1910-20’s period. 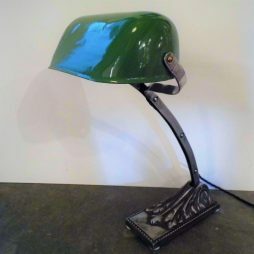 Art Deco “The Twins” Figure lamp. 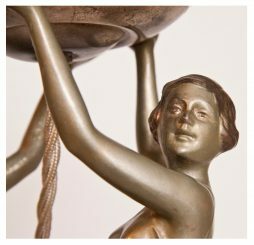 Art Deco Spelter Figure Lamp, The Twins holding a loft an Original Crackle Glass Globe.